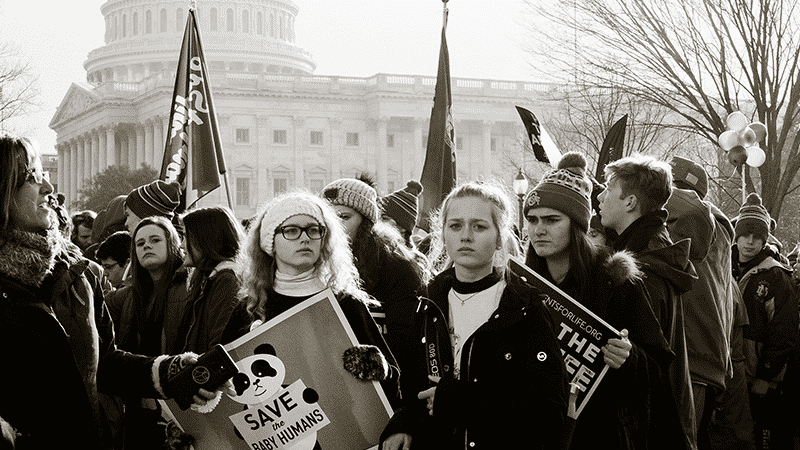 The 46th annual March for Life in Washington DC attracted hundreds of thousands of pro-life marchers this year. A time-lapse video by Students for Life shows the huge turnout of protestors against abortion in the US. March for Life President Jeanne Mancini told the crowd: “I think you might be the largest crowd ever. Literally, I just cannot see the end of you”. In a pre-recorded statement, President Donald Trump told the gathering: “This is a movement founded on love and grounded in the nobility and dignity of every human life. He added that as President “I will always defend the first right in our Declaration of Independence – the right to life”. Vice President Mike Pence, who attended in person, said: “We gather here because we stand for life. We gather here because we stand for compassion. He urged pro-lifers to “stand strong” in the face of opposition, saying: “They will attack you, they will question your hearts to silence others, but don’t listen to them. Listen to the truth”. She said that “among us today there is a silent genocide happening, and all of us here today have to come to say ‘we want to see an end to this genocide that is abortion’. Northern Irish Christian songwriters Keith and Kristyn Getty spoke at an Evangelicals for Life event. Kristyn said her prayer was for churches to better engage with issues such as abortion. Her husband Keith likened the push against abortion to William Wilberforce’s lifelong battle to end slavery, saying Christians in all walks of life need to stand up and oppose such evils. They also took the opportunity to highlight the work of pro-life organisation Both Lives Matter, which campaigns against the liberalisation of abortion laws in Northern Ireland. In France, the Paris March for Life took place last weekend, with an estimated 50,000 in attendance.